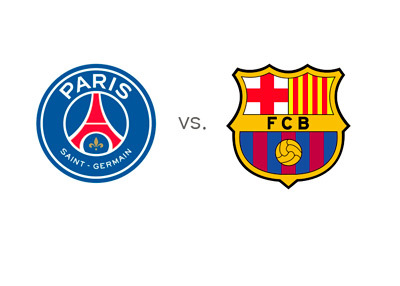 Paris Saint-Germain host Barcelona FC in the second round of games in the UEFA Champions League, Group F, on Tuesday, September 30th, 2014. Last time these two teams met, in the 2012/13 Champions League quarter-finals, Barcelona beat PSG on away goals after two draws. The score at Parc de Princes was 2-2 and the score at Camp Nou was 1-1. On matchday 1 of this season's Champions League, PSG drew 1-1 with Ajax away, while Barcelona beat APOEL at home with the score of 1-0. While still undefeated this season, PSG seem unmotivated up to this point. In the French Ligue 1, out of eight matches played, they have won three and drew five. The side from the capital is currently occupying the fourth position in the tables, and most recently, on Saturday, they drew with Toulouse 1-1 away. Barcelona are at the top of the Spanish La Liga tables with five wins and one draw. On the weekend, Barcelona destroyed Granada 6-0, in a game where Neymar scored a hat-trick and Messi netted two. Barcelona are playing well under their new coach, Luis enrique. Barcelona are the favourites to win this match in Paris, according to the odds. Zlatan & company are struggling to wake up in the new season, while Barca are gelling and Messi is playing at his best again. This should be a great game! Especially if PSG manage to wake up finally. Update: Zlatan Ibrahimovic will miss the upcoming match vs. Barca due to a heel injury, which he has not recovered from yet.